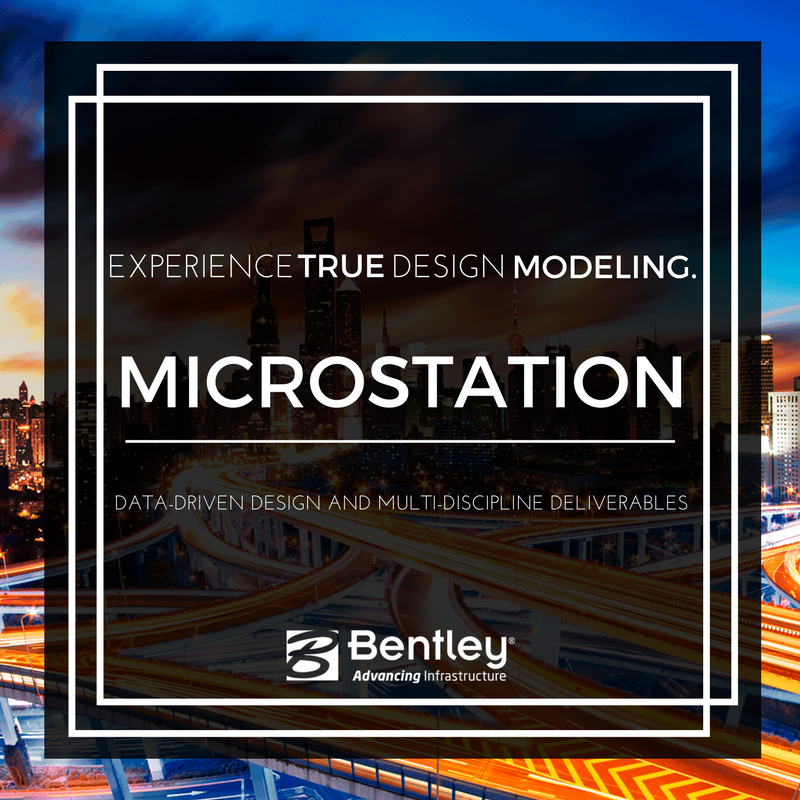 With MicroStation, you can model, document, and visualize infrastructure projects of any type, scale, and complexity using a comprehensive set of design and documentation capabilities to reliably deliver even the most demanding projects. 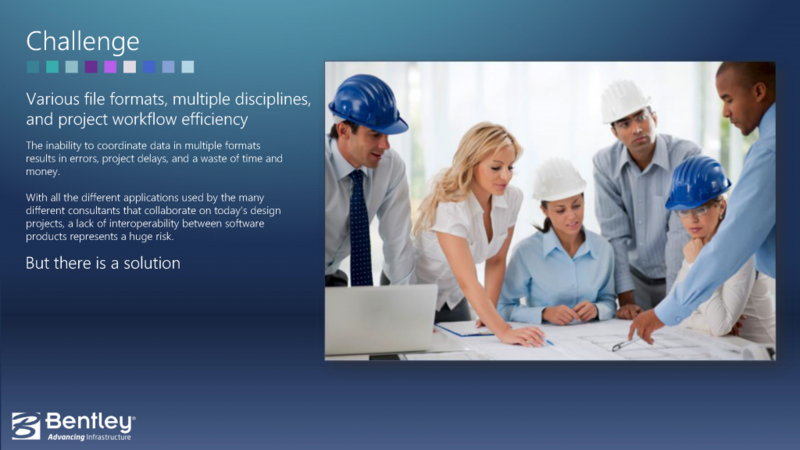 Leverage data-driven comprehensive BIM models to automate the creation and sharing of project deliverables such as drawing sheets, schedules, models, visualizations, and more. Effortlessly integrate contextual information for your designs, including reality meshes, images, point clouds, GIS data, Revit or other models, DWG files, external data sources like Bing maps, and much more. 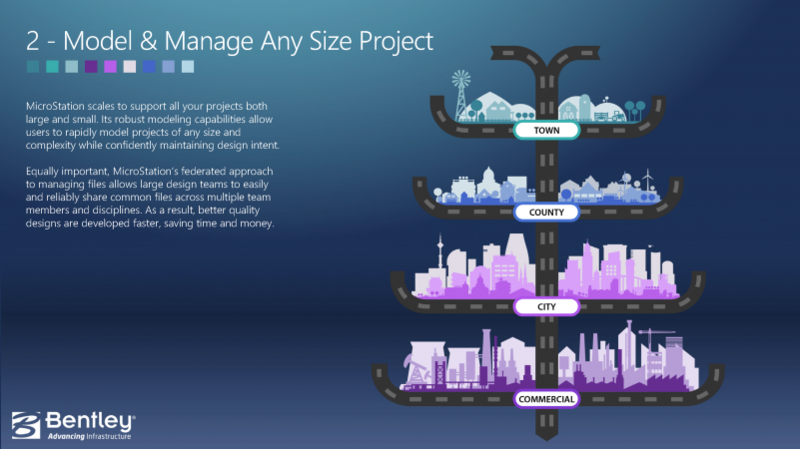 Work in context in an intrinsically geo-coordinated environment so that your BIM models are designed in precise geographic and geometric context. Experience true 3-D parametric design for advanced design modeling, leveraging both 2D and 3D constraints to accurately capture and model design intent. Provide deeper insight into designs through a rich, visual 3D experience that integrates annotated documentation into 3D models.. Create precise drawings using a comprehensive set of drafting tools to rapidly progress your designs from concept to completion. Use persistent constraints to maintain your design intent and speed drafting and annotation workflows with intelligent, interactive snapping and dynamic data entry. Understand designs more clearly by analyzing and performing data visualizations on models based on their geometry or underlying attributes. Perform analysis of real-world solar exposure and shading. Apply real-time display styles to visualize models based on each object’s height, slope, aspect angle, and other embedded properties. 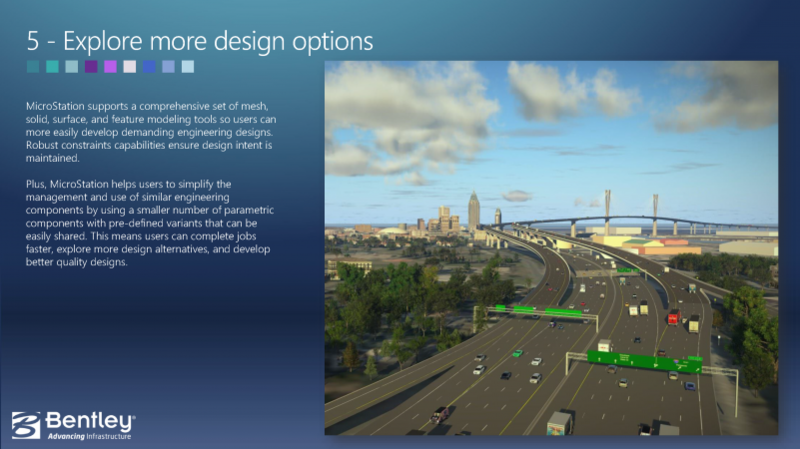 Visualize reality meshes based on associated spatial and attribute data. 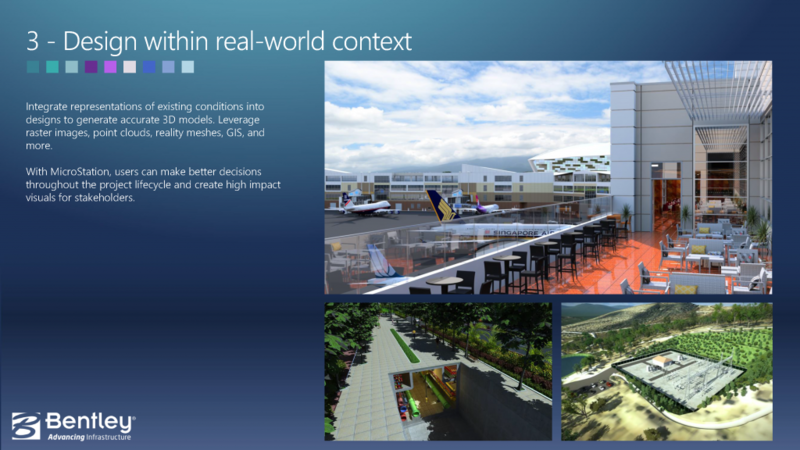 Clearly understand existing conditions and accelerate design modeling workflows with the ability to easily integrate imagery, point clouds, and 3D reality meshes into design and construction models. Integrate geospatial information to ensure that models are precisely geospatially located. Develop even the most complex design models with a wide range of design modeling tools, including surface, mesh, feature, and solid modeling. Build parametric functional components with predefined variations to easily find and manage many similar components. Use drawing extraction tools which automatically immerse drawings within models for improved clarity and streamlined documentation workflows. Generate consistent, high-quality deliverables such as paper plots, reports, 2D/3D PDFs, i-models, and 3D physical models. Create annotation, display styles, and reports directly from the embedded properties of objects to ensure that they will always remain in sync with the design model during work-in-progress. 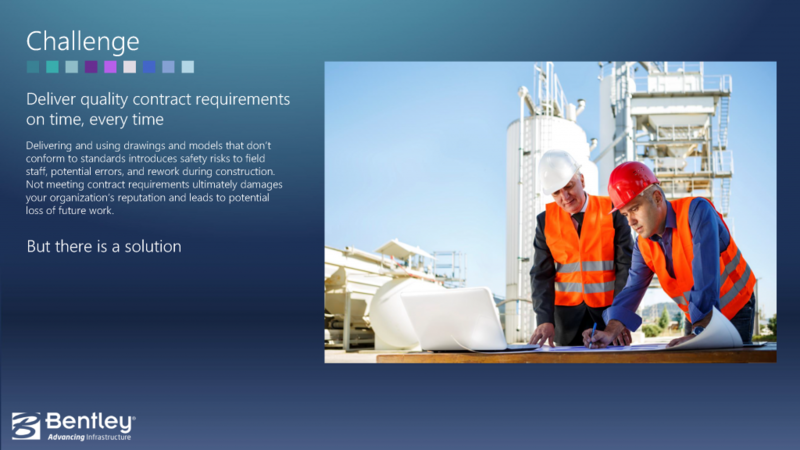 Ensure the proper application of organizational and project-specific standards and content. Apply templates to control geometry and data standards such as styles for dimensions, text, lines, detail symbols, and more. Once designs are complete, use automated tools to check drawings for standards compliance. 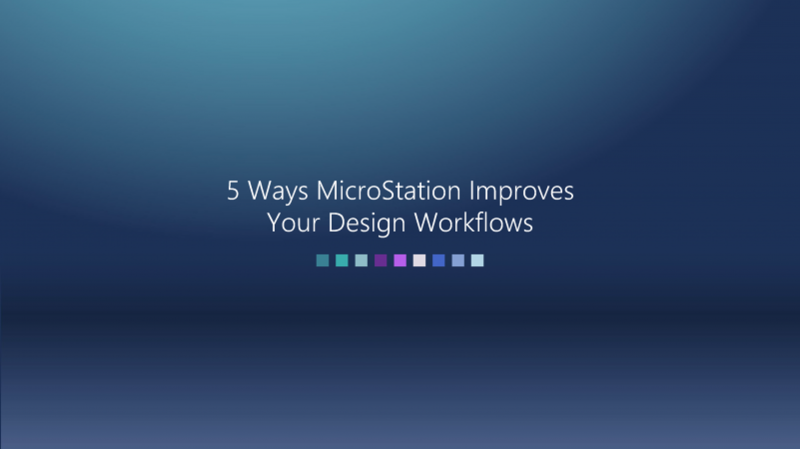 Discover how you can manage design changes and drawing standards, and control and protect files. 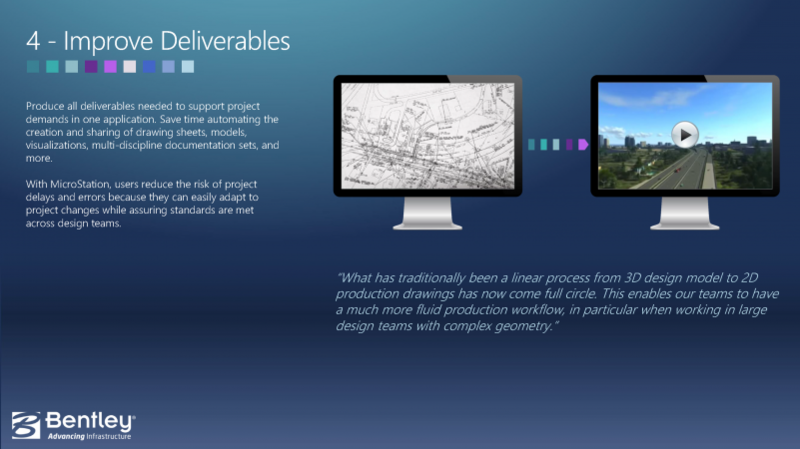 View and work with design information from others in real time using live referencing of 2D and 3D DGN, DWG, and large image files, refreshed on demand. Create and exchange digital markups of designs. 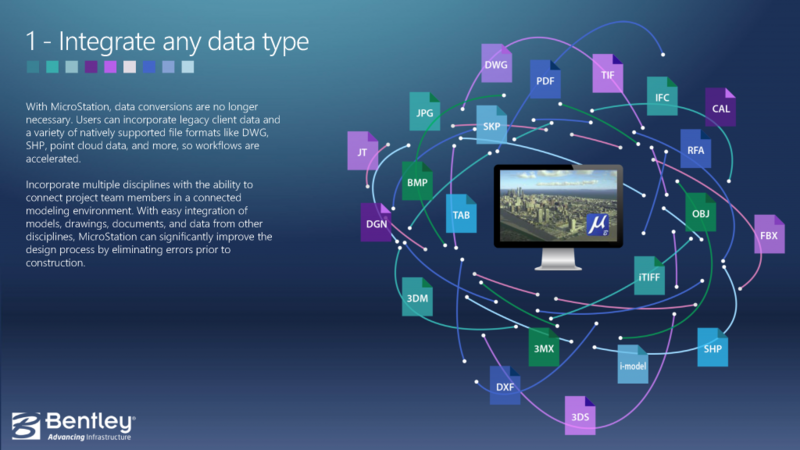 Track and easily understand changes made to design files, even at the component-level, throughout their lifecycle. Improve enterprise-wide collaboration through integration with ProjectWise. uring the flushing operation.